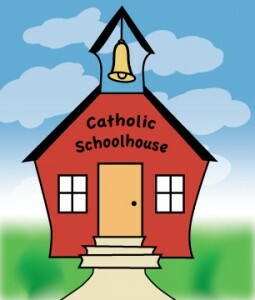 Welcome to Catholic Schoolhouse Columbus! Catholic Schoolhouse is a supplemental program designed to help homeschool families enrich their educational experience through a flexible approach to learning inspired by classical elements, presented in a structured environment. Scholars from 4 to 11 years old study the same topics in the Grammar program. Scholars age 12 to 18 years spend focused time delving deeper into the materials offered in our Dialectic and Rhetoric program. The whole family has a place at Catholic Schoolhouse. Grammar scholars work to develop the roots that will enhance knowledge and understanding. Dialectic and rhetoric stage scholars will have opportunities for discussion, logic development, and speaking, while remaining focused on the fine arts and history time periods of the tour guide to facilitate family cohesiveness. Catholic Schoolhouse is more than a day out of the house; it can help bring structure and cohesiveness to your entire homeschool experience and will bless your family. Parent and Student Orientation Meeting…a rousing success! A radio interview, a curriculum showcase, a meeting and more!